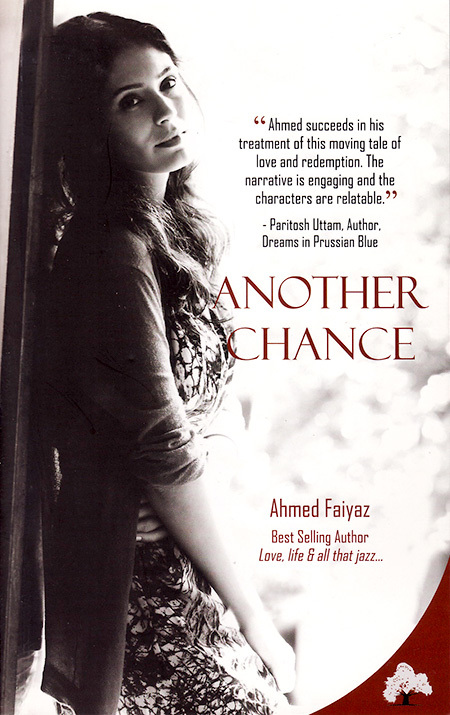 Not even a year has passed since Ahmed Faiyaz’s debut novel Love, Life & All that Jazz… first hit the shelves, and the chartered accountant turned management consultant turned author is already out with a second book titled Another Chance. The blurb tells you that it is the story of a depressingly gorgeous woman, which it is, but along with that it is also an unnerving reflection of the state of contemporary amorous relationships in modern India. Some fickle, some lasting, and some that could only manage to find an uncomfortable place between the two. Ruheen Oberoi, the protagonist, is perennially prone to making wrong choices. She is a Shimla girl who has been spoiled rotten by her sole guardian, her maternal grandfather. A wild child, she gets expelled from a boarding school in Nainital when caught sneaking away to the boys’s dormitory with her high school sweetheart Varun. On moving to Mumbai after two years for college, she meets Aditya—the good guy, who is working his way to becoming a future brand manager. Love blossoms quickly and gets trampled upon just as soon by a roguish brat from a political family, Vishal, who goes by the sobriquet of Ogre. Things get nasty in his relentless pursuit of Ruheen and all three of them end up going their separate ways. Working in Delhi later on, she ties the knot on an impulse with Rohan, an N.R.I. who was incidentally in India on a bride hunting expedition. Marital life in London fails her as well, and by some odd luck she manages to flee away from her worst nightmare to Amsterdam. It is here that she finally matures and finds solace, just in time for the past to catch up with her. This is one of those novels that is meant to be adapted into a screenplay someday, which is not to say that it is a regular love triangle. Here you have a love hexagon, if such a term exists. There’s Ruheen, her four suitors, and Malika, Aditya’s colleague, all vying for that unattainable ‘another chance’. What Faiyaz captures very ably is the lifestyle of the typical urban youth, be it their attempt to bring some steadiness to the toppling balance between their professional and personal lives, or their share in the rising consumerism. When they are on a vacation there’s the ‘Twitpic first’ rule, when they are at home there’s Prison Break or How I Met Your Mother on television, when they are partying… well, you get the drift. It’s a story directed towards realists who want to see a part of their own lives in print. Escapists or idealists may not really enjoy Another Chance. If you’d rather pick up a book to forget what’s happening around you, then this may not be the best choice. Likewise, for fans of old school romances, though there is plenty of mush and gush. Latent or aspiring feminists could get offended by the unwanted attention given to Ruheen’s physical appearances. Another plausible reason for not liking the book could be brand aversion. Can’t stand the BlackBerry boys? Better stay away. Other than that there’s not much to complain. The fluidly written narrative is devoid of any pretense. The dialogues between characters are believable, with random slippages into Hindi. Also, for travel lovers, many cities and their haunts are described in detail. Patiently fleshed out, highly relatable and full of emotional conflicts, Another Chance makes for an involving read. Ahmed Faiyaz is definitely a writer to watch out for—not only is he good at what he does, but is also prolific, and that sure is a rare combination. Chinmayi Bali is, for the time being, delirious about the fact that she's no longer a closet writer. Making candles brings her joy. She still hasn't gotten over her childhood dream of becoming a movie theatre usher. By Aneesha Srinivasan · Walking Towards Ourselves, Catriona Mitchell’s compilation of stories about and by Indian women, does not see the struggles of women in the country as being too privileged, specific, or personal. To be honest, at prima facie I just began reading this post and I was reading, I thought it to be originating from the publisher, intending a sort of promotion , expecting ur review to b followed as a comment to this post. But… Hark!!! it was originated from elsewhere!! really a review could not be penned in any better way. And now that tempts me to have a copy of “Another Chance” and moreover I may sound biased, but since dis book is penned by a Chartered Accountant , and I myself, am pursuing the same, so it further persuades to have the copy.